Absent from the Old Testament but prolific in the New Testament are various Jewish traditions, synagogues, sects, political leaders, and the Romans. Why was the New Testament originally written in Greek, and why did Jesus speak Aramaic? Was Herod a Jew or a Roman, how did he become so politically powerful, and why does his name appear in different historical periods? Why was there so much hostility in Jesus’ day? Why were scribes so prominent, and who were they? How is it that the Romans had so much control? Without a basic understanding of historical context, much of the New Testament is obscure if not virtually inexplicable. The Diaspora. Jewish dispersion began in 722 BC with the deportation of northern-kingdom Jews by the Assyrians, and further in 597 BC when the Jewish state was destroyed by the Babylonians. While multitudes of captives were taken to Babylon, many took refuge in Egypt (2 Kings 25:26; Jer. 41:17; 44:1). After the Babylonian exile, only a minority of Jews returned to Palestine. When Alexander the Great founded the city of Alexandria in Egypt, there was a sizeable population of Jews there (Josephus, Ant. 19.5; Ag. Ap. 2.4). Ptolemy I (322-285 BC) reportedly transferred 120,000 Jews from Judea to Egypt, with other Jewish immigrants later settling particularly around Alexandria (cf. Acts 6:9; 18:24). By the early 1st century AD, Jews were scattered throughout the Roman Empire, as far east as Parthia and as far west as Rome (cf. Acts 2:5, 9-11; 6:9).4 J. H. Kane observes: “The dispersion of the Jewish people was the greatest single factor in preparing the world for the coming of the Messiah and the preaching of the gospel” (A Concise History of the Christian World Mission 6). Oral Tradition. The Jews in exile desired to make practical application of the Torah (Law) in their less-than-ideal circumstances, so “a body of oral tradition—interpretation and application—began to develop around the written Law of Moses to explain how to implement its commandments in new times and places” (C. L. Blomberg, Jesus and the Gospels 10-11). While the written law was conveyed through copyists, according to some the oral law was transmitted by word of mouth all the way back to Moses (F. F. Bruce, NT History 73). During the Lord’s earthly ministry he clashed with certain ones elevating these traditions to the stature of divine precept (Matt. 15:2-6; Mark 7:3-13; cf. Gal. 1:14; Col. 2:8). 1 See Aramaic. When Hebraistí (the “Hebrew” language) is mentioned in the NT, it most likely refers to Aramaic as the spoken language of the Hebrew people at this time (John 5:2; 19:13, 17, 20; Acts 21:40; 22:2; 26:14; Rev. 9:11; 16:16). Sections of Ezra (4:8–6:18; 7:12-26) and Daniel (2:4b–7:28) were penned in Aramaic. 2 Produced in Alexandria, Egypt in the 3rd–2nd centuries BC, this would have been the scriptures of most early Christians. E. Ferguson notes, “The Septuagint was the most important literary event, perhaps the most important single development of any kind in the Hellenistic period, for the background of early Christianity” (Backgrounds of Early Christianity [3rd ed.] 436). Technically, the LXX was the Greek Pentateuch, with other documents translated and added later, although the label “Septuagint” is typically applied to the entire Greek OT (see K. H. Jobes and M. Silva, Invitation to the Septuagint [Grand Rapids: Baker, 2000]). 3 See Did Jesus Speak Greek? 4 Aquila was a Jew born in Pontus, who lived in Rome and then in Achaia (Acts 18:2); later he and his wife moved to Asia (Acts 18:18-19; 1 Cor. 16:19), then back to Rome (Rom. 16:3). 5 Matt. 4:23; 9:35; 12:9; 13:54; Mark 1:21, 39; 3:1; 6:2; Luke 4:15-44; 6:6; 13:10; John 6:59; 18:20. 6 Acts 9:20; 13:5, 14; 14:1; 17:1-2, 10, 17; 18:4, 19; 19:8. 7 Matt. 26:57-59; Mark 14:53-55; 15:1; Luke 22:66; John 11:47; Acts 4:5-6, 15; 5:21, 27-41; 6:12-15; 22:30–23:10; 23:14-15, 20, 28; 24:20. 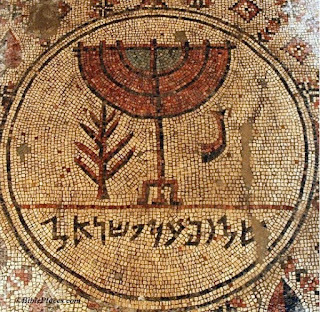 The Hebrew name Mîkhā'ēl, meaning “Who is like God,” was not uncommon among the ancient Jews (Num. 13:13; 1 Chron. 5:13, 14; 6:40; 7:3; 8:16; 12:20; 27:18; 2 Chron. 21:2; Ezra 8:8). The name appears three times in the OT book of Daniel, and once each in the NT books of Jude and Revelation, with reference to a mighty angelic figure historically known as Michael the archangel. Some early Protestants, the Seventh-Day Adventists, and the Jehovah’s Witnesses equate Michael with the pre-incarnate and post-resurrection Christ.4 Mormons believe Michael to be “Adam, the father of all, the prince of all, the ancient of days” (D&C 27:11). Michael is named once in the Muslim Quran as an angel of God (Sura 2.98). Irrespective of endless speculation and folklore, what the Bible says is the focus of our present study. Although much of the information is couched in symbolism and is rather obscure, our aim is to develop a clearer understanding of this intriguing Bible character. The Hebrew sar, translated “prince” in most English versions, can refer to either nobility (“ruler,” “prince”) or a military leader (“captain,” “commander”). In Joshua 5:13-15 the word is applied to “the commander [sar] of Yahweh’s army.” In the LXX Michael is designated árchōn (“leader,” “ruler,” “chief”). Admittedly these visionary passages in Daniel are somewhat enigmatic, and the question of whether Michael’s foes are physical, spiritual, or both has been debated for centuries.7 Nevertheless, it is clear that Michael is a formidable leader and intercessor, defending and protecting the people of God. Near the end of the first century John pens a prophetic, apocalyptic document addressed to the seven churches of the Roman province of Asia.10 These Christians were suffering severe and widespread oppression that would eventually worsen, pressured to worship the secular ruling authority that was inspired and empowered by Satan, God’s archenemy. Having examined every biblical reference to Michael the archangel, our nagging curiosity may still not be completely satisfied. Rather than trying to fill in the gaps with conjecture and whimsical imagination, let’s be content with what we can know. In Hebrews 1:13-14 angels are described as “ministering spirits, being sent forth for service for the sake of the ones who will inherit salvation.” The present participle apostellómena (“being sent forth”) signifies an action that is currently and continually being carried out. This is consistent with how God has operated in the past (Psa. 91:11-12; 103:20-21; Matt. 4:11; 24:31; Luke 22:43), and there is no reason to suppose that angels are no longer active as God’s providential agents. The Lord providentially works in the lives of the faithful (Rom. 8:28; 1 Cor. 10:13; 2 Cor. 2:12; 1 Thess. 3:11), and his angels appear to be the instruments through which he operates. The struggles we face as God’s children on earth are constant reminders of how much we need God in our lives. Seeing that our greatest challenge is spiritual in nature, the Lord has not left us defenseless (Eph. 6:10-18). We have added reassurance knowing that behind the scenes, Michael and his angelic armies are at the forefront of the war against the devil and his evil forces. · Duty and faithfulness in service to God and God’s people. · Moderation and restraint, yielding to the judgment to God. · Conviction and courage to fight the forces of evil. · The Lord has our backs. · Divine power is greater than Satan’s. · Even in the midst of the severest trials, victory is assured. 1 Tobias 12.15-22; Testament of Isaac 2.1; Sybilline Oracle 2.215; I Enoch 9.1; 10.15; 20:5, “one of the holy angels, who, presiding over human virtue, commands the nations”; 24.4; 40.8, “the merciful, the patient, the holy Michael”; 53.6; 58.3; 66.14; 68.20; 70.16. 2 J. Jacobs, M. Seligshon, M. W. Montgomery, “Michael,” Jewish Encyclopedia <Link>. 3 Frederick Holweck, “St. Michael the Archangel,” Catholic Encyclopedia <Link>. 4 Seventh-day Adventists Answer Questions on Doctrine <Link>; and The Watchtower’s Aid to Bible Understanding 1152. 5 Unless otherwise noted, scripture quotations are the author’s own translation. 6 The LXX rendering of Deut. 32:8 reads, “according to [the] number of God’s angels”; cp. Heb. 2:5. 7 See G. Clay Leonard, “Do Nations Have Guardian Angels?” in Identity in Crisis (ed. Doug Y. Burleson): 329-34. 8 This is the only biblical passage that speaks of the dispute over Moses’ body. On the assertion that Jude’s account is based on the pseudepigraphical Assumption of Moses, see Jude's Alleged Use of Pseudonymous Sources. On the nature of the dispute between Michael and the devil, see Why Argue Over the Body of Moses?. 9 See Anticipating Christ's Return (Part 1). 10 See Introducing the Book of Revelation (Part 2). 11 Compare John 12:31; Eph. 2:6; 6:10-12; Col. 2:15; Heb. 9:11-24; Jude 6. Homer Hailey reminds us that this visionary war, like many other symbolic elements of the book, is “intended to teach some great spiritual truth” (Revelation 273). Bruce M. Metzger describes this passage as “a flashback,” as the words of the triumph song “remind us that the vision of Michael fighting the dragon is symbolic, representing the real victory won by the atoning death of Christ and the preaching of the gospel” (Breaking the Code 74); cf. also J. E. Waldron, The Lamb/The Lion 127-28; contra Robert H. Mounce, Revelation 240. 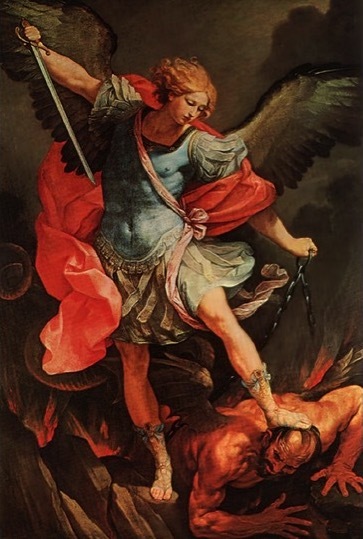 The 1635 painting by Guido Reni is entitled, “Saint Michael the Archangel tramples on Satan,” and is displayed in Rome’s Capuchin Church of Santa Maria della Concezione. Satan’s depiction is likened to Pope Innocent X. If the ultimate cause of the universe is God, where did God come from? The question assumes our limited naturalistic environment can adequately explain an unlimited supernatural creative force, even though the evidence points to a source of the natural world beyond nature itself.4 It was at the beginning of the cosmos that time, space, matter, and finite energy all came into being. The ultimate cause of the physical world is thus outside of time (eternal), outside of space (omnipresent), outside of matter (immaterial), and outside of finite energy (omnipotent). The God of the Bible is the infinite, independent, supernatural primal cause of the finite, dependent, natural world (Genesis 1:1; Hebrews 3:4). Where one is born and the environment in which one is raised may account for nominal faith (including atheism), but this ignores so many factors inexplicable from a purely naturalistic worldview. Childhood conditioning does not explain why adult atheists become believers, like William J. Murray, son of militant atheist Madalyn Murray O’Hair, or Oxford professor C. S. Lewis, biochemist Alister McGrath, geneticists Francis Collins and George R. Price, astrophysicist Hugh Ross, astronomer Allan Sandage, philosopher Nina Karin Monsen, Nobel Prize winner Aleksandr Solzhenitsyn, journalist Lee Strobel, MIT professor Rosalind Picard, et al.5 Apparently how the evidence is interpreted and the conclusions drawn therefrom are not simply a matter of the mind but of the will. Christianity originated in the Middle East, yet there are followers of Christ not only in America, but in Pakistan, India, and all around the globe. The Christian movement emerged in a hostile Jewish environment and spread throughout a resistant polytheistic world. These early believers did not choose their religion because it was familiar and popular. They embraced the Christian faith as true, irrespective of cultural conditioning and geographic location. Wissam Al-Aethawi, a former Iraqi soldier and engineer who grew up in Baghdad, was disillusioned by a religion that taught hate. He purchased a Bible, was convicted by its message, and obeyed the gospel. He now works with Arab immigrants in the USA, using the New Testament to teach them English, large numbers of whom are experiencing religious freedom for the first time and coming to faith in Christ. You can read Wissam’s story here: <Link>. Michael Patton observes, “Christianity is the only viable worldview that is historically defensible. The central claims of the Bible demand historic inquiry, as they are based on public events that can be historically verified. In contrast, the central claims of all other religions cannot be historically tested and, therefore, are beyond falsifiability or inquiry. They just have to be believed with blind faith.”8 The Christian movement began and flourished, not in a vacuum, but among real people in the first century world who could readily test its claims (cf. Acts 26:26; 1 Cor. 15:6). The credibility and tenacity of the Christian faith, void of violent threats and coercion, better explains why it continues to thrive worldwide. The geographical location of one’s birth and cultural environment of one’s upbringing is a weak rationale for religion in general and Christianity in particular. Since the creation of the world the evidence of God has not been hidden, and to stubbornly ignore it is inexcusable (Romans 1:18-22). May the entire human creation hear the words of God's revelatory vessel: “He who rejects Me, and does not receive My words, has that which judges him—the word that I have spoken will judge him in the last day” (John 12:48). 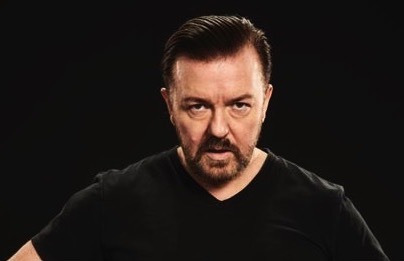 1 Ricky Gervais, “Religion Explained in 2 Minutes,” YouTube video clip posted by Mike Panagopoulos (25 March 2018), <Link>. 2 Carl Sagan, “On God and Creation,” YouTube video clip posted by angryatheistdotnet (13 Dec. 2009), <Link>. For a good response to this question, see Kent Hovind’s reply to Reinhold Schlieter, <Link>. 3 Stephen Hawking, “The Beginning of Time,” 1996 lecture, <Link>. 4 See K. L. Moore, Are You Sure About God? Part 1 and appended links. 5 This extensive list would also include Emory professor Mark Bauerlein, biologist Alexis Carrel, physicist Russell Humphreys, Harvard law professor Simon Greenleaf, et al. Though certainly not exhaustive, for the names of other prominent figures, see “List of former atheists and agnostics” <Link>. 6 Forest Antemesaris, “Five Bad Reasons to Reject Christianity,” Apologia Institute (21 May 2018), <Link>. 7 J. Warner Wallace, “Am I a Christian Simply Because I Was Raised in a Christian Culture?” Cold Case Christianity (31 Jan. 2018), <Link>. 8 Michael Patton, “Christianity, the World’s Most Falsifiable Religion,” credohouse.org (07-08-2013), <Link>. Related Posts: Where's the Proof of God? Related articles: Rosalind Picard's MIT Professor Meets Author of All Knowledge, Michael J. Kruger's Can We Believe God's Word is True Because Our Parents Told Us?, Nathan Liddell's I Was Born This Way (a Christian)? “Proof” that Instrumental Music in Worship is Acceptable to God? Jesus Couldn’t Be a Priest But a Woman Can Be a Preacher? Where's the church in the gospel plan of salvation? Understanding the church and my place in it. My name is Kevin L. Moore. I am a Bible teacher and former missionary to New Zealand, currently serving as director of missions studies and associate professor of Bible and missions at Freed-Hardeman University in Henderson, TN USA.